The 2014 FIFA World Cup starts today (!!!) in Sao Paulo, Brazil. It’s the biggest sports event in the world and people have been talking about it for months- years, even (since the location was announced back in 2007). This is the second time that Brazil will be host to this tournament; the first time being 1950. Given this is such an important event, we want to talk about several aspects surrounding the Wold Cup that not many people talk about. We will be working on a series of posts throughout the month, both here on the blog and social media. 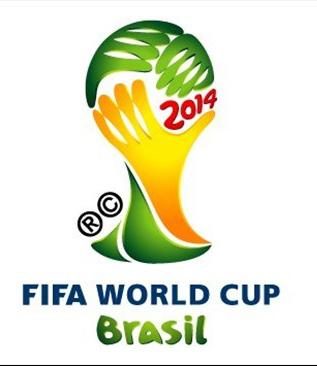 To start off, let’s talk about the 2014 World Cup logo and brand image. The location of a World Cup is announced about 8 years prior to the event if not earlier, and the work starts then. The challenge is not only to represent the country that hosts the event, but also the people and essence of what this tournament means for the world. 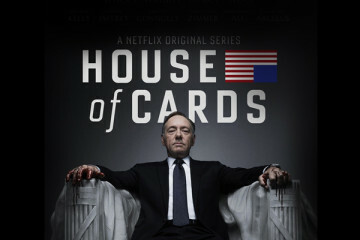 Each Cup’s logo and brand image must portray a very specific identity and be unique, but still be relatable to everyone who’ll be watching. FIFA and the Brazil Organizing Committee (LOC) picked brazilian design agency Africa to design the brand. Their logo design was chosen among 125 submissions presented by 25 agencies. After a logo is chosen and revised, it must be worked into an integral brand, something that can be used in merchandise, stadiums, ads, publicity, etc. It’s a very difficult job. FIFA and the LOC had a judging panel of experts in different areas for selecting the logo and giving their input on the entire process. This panel was composed of extremely influential people in the design world, like brazilian architect Oscar Niemeyer and designer Hans Donner. Supermodel Gisele Bundchen, author Paulo Coelho and singer/actress Ivete Sangalo were also a part of the panel, along with leading figures in the football world like Ricardo Teixeira and Jérôme Valcke. The panel deliberated in the overall impressions of the designs, aesthetics, how it transmitted the spirit of Brazil and uniqueness. Africa agency had also one last challenge- they had to create a logo and brand that would still be valid and strong 5 or 6 years into the future. Why? Because the logo and brand are created almost as soon as the location is announced. They have to be very visionary in creating something that will still be current and feel fresh and new when the event actually happens. 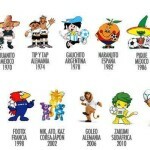 Part of creating the brand for a World Cup is creating its mascot. This tradition first started 48 years ago for the England 1966 tournament. 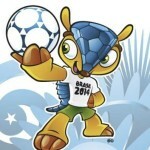 This year, we have Fuleco, an armadillo. Armadillos are native to Brazilian lands and an endangered species. The blue shell represents the clear skies and water of Brazil. Its name is a combination of the words futebol and ecologia, with the purpose of inciting people to take care of the environment, and of course, football. What did you think? Do you like this Cup’s logo and brand? The mascot? Who are you rooting for?